So how have I been? Very busy, being the short answer. At my school, I'm on the Prostart Culinary Team. Prostart is a program for high school students, and they host a cooking competition every year. So everyday after school, I've been working on our menu and trying out new cooking techniques. I am in charge of creating the dessert... shockingly. The hard part is, we don't have access to electricity, just propane burners and metal campfire ovens. That and a one hour time limit put up many roadblocks to what can be made. But we are still working on it, and the competition is in about a month so we have plenty of time! For people that have been reading this blog, you may know one of my favorite desserts in panna cotta. I made a salted caramel panna cotta a while back that was amazing! Panna cotta can be flavored in so many ways, so I decided that a would use all the extra tea I had stockpiled in my cupboards to taste test some tea flavored panna cotta. 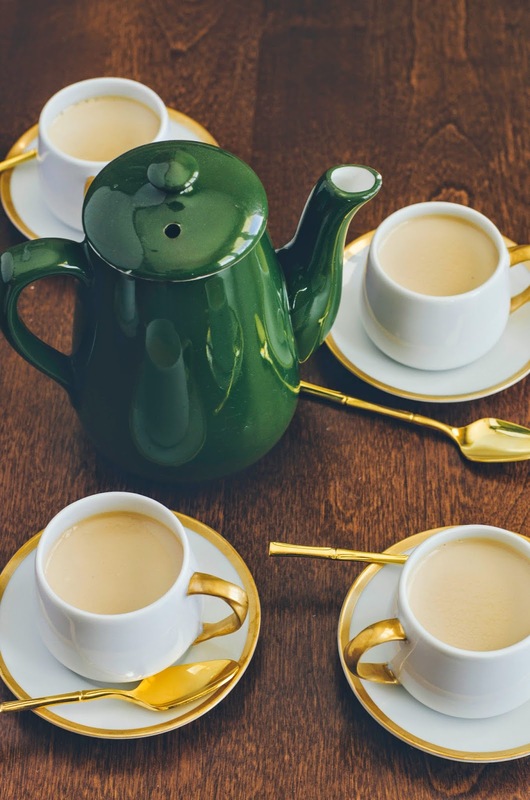 I tried four different kinds of tea using the same panna cotta recipe. 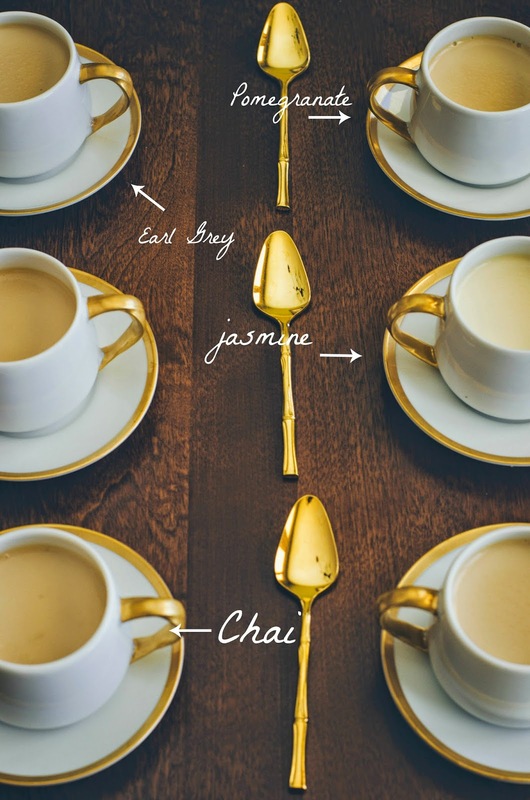 I found the best two (in my opinion of course) was the chai and the jasmine. They both had great flavor and were not too strong. 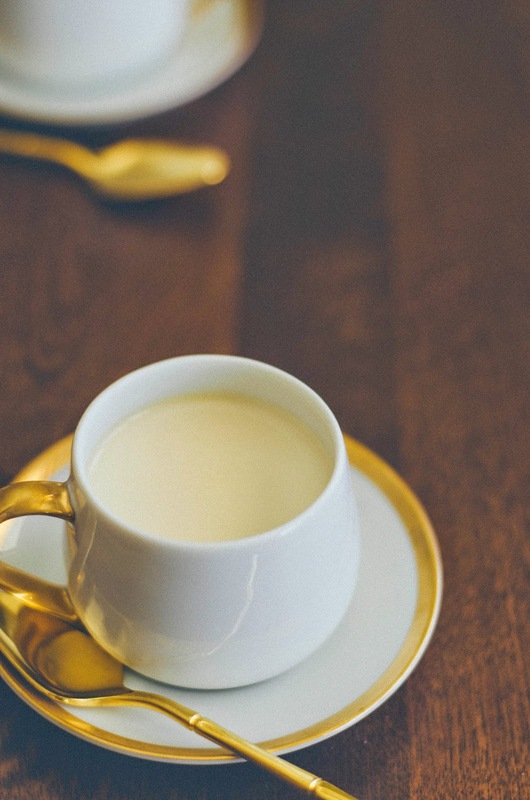 Infuse the cream by combining 4 cups heavy whipping cream and tea in a medium, heavy-bottom saucepan. Bring to a simmer over medium heat, whisking occasionally. Once the mixture has simmered, turn off the heat and cover the pan with aluminum foil, poking a few holes into the top to allow steam to release. Let steep for 1 hour. When the cream has finished steeping for an hour, bloom the gelatin. Sprinkle 2 teaspoons powdered gelatin into the surface of a small cup or ramekin filled with 3 tablespoons cold water. Let sit for 5 minutes, until the gelatin softens. As the gelatin is blooming, strain the infused cream through a cheese cloth into a bowl, pressing on the tea leaves/tea bag with the back of a spoon to release all the liquid. Discard the tea leaves/bags. Transfer the cream beck into the saucepan and add 3/4 cup granulated sugar and the bloomed gelatin, stirring over medium-low heat until the sugar and gelatin is melted. DO NOT boil the mixture. Once the sugar and gelatin are fully integrated into the cream, divide the cream amongst eight 4-ounce ramekins. Chill overnight. Once set, the panna cotta can be wrapped individually in plastic wrap and stored in the refrigerator for up to 3 days. So that's it! It doesn't take that long to put together, and its a really fun time finding different flavors of tea to use.